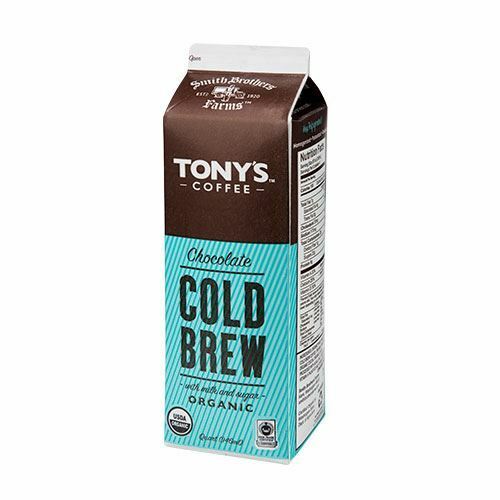 Tony’s Organic Cold Brew + Chocolate Milk is what happens when two family-owned companies from western Washington join forces. This quart is a perfect blend of organic fair-trade cold brew coffee, organic chocolate, and farm-fresh organic milk from Smith Brothers Farms making it a rich, natural recovery drink. Whether you just finished an epic trail run or you’re searching for the secret weapon for a marathon conference call, this mighty carton is here for you. Dozen organic, cage-free eggs sourced from a local Northwest farm. This is one of the best cold brew coffee's I've tried! Many cold brew coffees are bitter and have a terrible taste, but this one is the best! It's nice to have for the days when you need a quick pick me up, and don't feel like making coffee. It can be a bit strong, but you could mix it with a little bit of milk to make it last longer! We don't buy this every week but its nice for when you have a busy week ahead and don't have time to wait for coffee to brew. 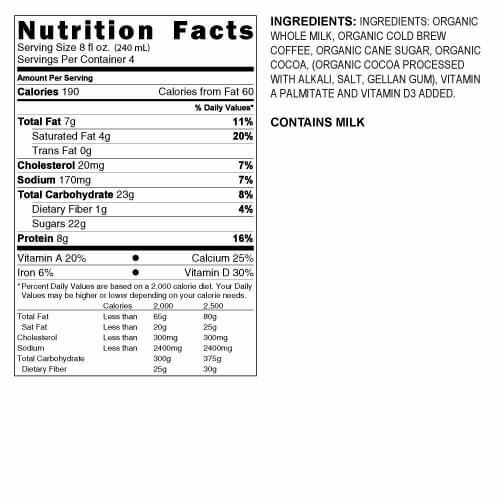 It is strong, but we either add regular milk to ours or more chocolate milk to it, and it tastes great! Not too sweet, not too strong or bitter. Love it! Yum! .....beautiful cocoa taste. Great over crushed ice.